Offering you a complete choice of products which include sheet metal fabrication projects and sheet metal bending. Exceptionally gifted hand skill work (traditional fabrication work) with over 28years experience. Expert in combine solution of modern machine work and high skill blacksmith work. Can able to provide superior hand skill job work when machine work is impossible, especially in bending, rounding and shaping the component of sheet metal designing and engineering. 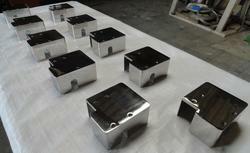 Exceptional Knowledge of fabrication of sheet metal and related product or equipment. Deep knowledge of all types of welding techniques including TIG welding. 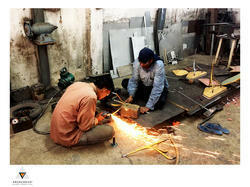 Can able to perform all tasks related to fabrication job work as assigned. Sound ability to estimate the time and material required to complete an assigned task. Immense skill in estimating costs for work projects. Great ability to effectively communicate with employees and other business contacts in a courteous and professional manner and exercise a strong sense of priority and time management. Uncommon ability to work from fabrication drawings. Proven ability to understand and carry out general oral and written instructions. Have knowledge of all job tasks in fabrication (past operation, present operation and future operation). My website describes my achievements and work success story. Software exposure (Extensive knowledge in the use of AutoCAD- Version 2008 to 2016, SolidWorks 3D Modeling, Solid Edge and Rhino- Version 3, M. S. Office 2013, Windows 10). Expert knowledge in preparation of unfolding 3D fabricated model to flat drawings for application of practical joints, general assembly drawings & detailed fabrication drawings. Looking for Sheet Metal Fabrication Projects ?